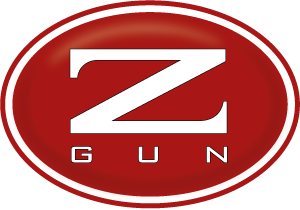 The newly launched Model XL-EVO now completes the already comprehensive Z-GUN range of competition guns. A difficult objective has been achieved considering that not only does XL-EVO retain all the fundamental aspects of Zoli’s range of Competition guns but also reaches beyond by taking it to the next level. For this reason we consider the XL-EVO to be a gun dedicated to the expert shooter who requires a fully customizable gun. This gun is truly unique and stands above all in today’s Competition gun market. Unlike the rest of Zoli’s range the XL-EVO is fitted with an action which has been designed so that the weight of the action can be varied. This is a very novel idea, enabling the shooter to carry out this simple modification himself. The two side plates can be changed with others of different weights. This innovation completely reflects the concept of ‘Between Hands’ introduced by Zoli. By altering only the weight located at the ‘centre of gravity’ of the gun, its dynamics can be changed without distorting it. When shooting at a professional level it is essential to have a gun that can be perfectly tuned and the XL-EVO has been developed to fulfil such a need with the variable weight of the ‘VGC’ action, the dynamic ‘BHB’ device and a stock with an adjustable comb. All XL-EVO’s come with a monolithic action, a detachable trigger group with titanium nitrided components and self-lubricating springs. This model also has stainless steel bushed firing pins, a Boss-type locking system and silver soldered barrels. The XL-EVO is available only in 12 gauge with varying barrel lengths and four different rib configurations.